Gold is a precious metal mined to create practical and ornamental pieces of work. Refined gold ore can be melted, poured and cast into almost any shape to make jewelry. There are numerous industrial applications for gold, as well. Many electronicsand medical devices rely on gold's ability to conduct electricity and resist corrosion. As we all know, gold-bearing rocks are very hard, so it takes a longer time and needs more machines to crush gold-bearing rocks. No matter which method you adopt in the process of gold mining, crushing is the primary step, to some degree, the effect of crushing can determine the quality of product. After years’ constant exploration and development, YIFAN has been able to supply excellent gold mining equipment to Peru. Typically, gold ore crushing plant refers to crushing machines used in the crushing process of gold-bearing rocks. And main types of gold ore crushing plant can be divided into jaw crusher, impact crusher, cone crusher, and gyratory crusher, etc. As for the flexibility, gold ore crushing plant can be divided into stationary crusher and mobile crusher. In addition, according to the crushing process, they can be divided into primary crusher and secondary crusher. Typically, in the gold mining industry, jaw crusher is used as the primary gold ore crusher, and impact crusher or cone crusher is used as the secondary gold ore crushing plant. 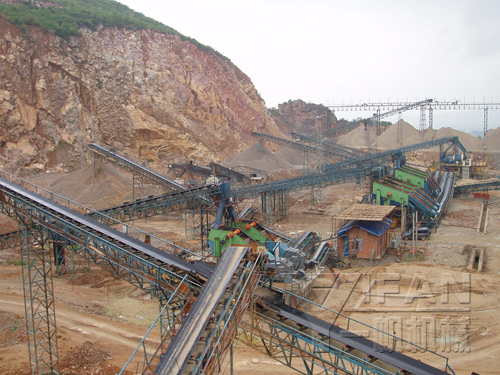 YIFAN is a professional supplier of gold ore crushing plant . We will supplying more high-quality products and better service, if you have some interest in our gold ore crushing plant, please contact us!